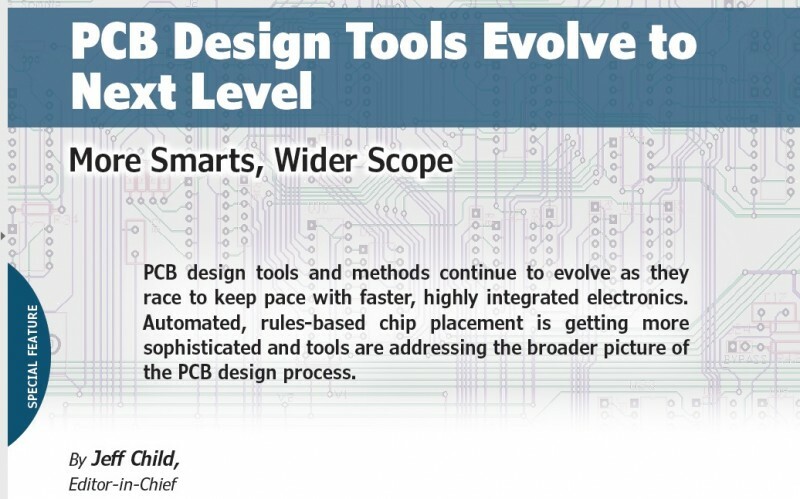 PCB design tools and methods continue to evolve as they race to keep pace with faster, highly integrated electronics. Automated, rules-based chip placement is getting more sophisticated and tools are addressing the broader picture of the PCB design process. Diagnostic fter decades of evolving their PCB design tool software packages, the leading tool vendors have the basics of PCB design nailed down—auto-routing, complex layer support, schematic capture and so on. In recent years, these companies have continued to come up with new enhancements to their tool suites, addressing a myriad of issues related to not just the PCB design itself, but the whole process surrounding it. With that in mind, even in the last sixth months, PCB tool vendors have added a whole host of new capabilities to their offerings. These include special reliability analysis capabilities, sophisticated design-for-test (DFT) tools, extended team collaboration support and more. 50 Gbps becoming commonplace, and protocols like Ethernet pushing 400 Gbps bandwidth, traditional methods are insufficient. 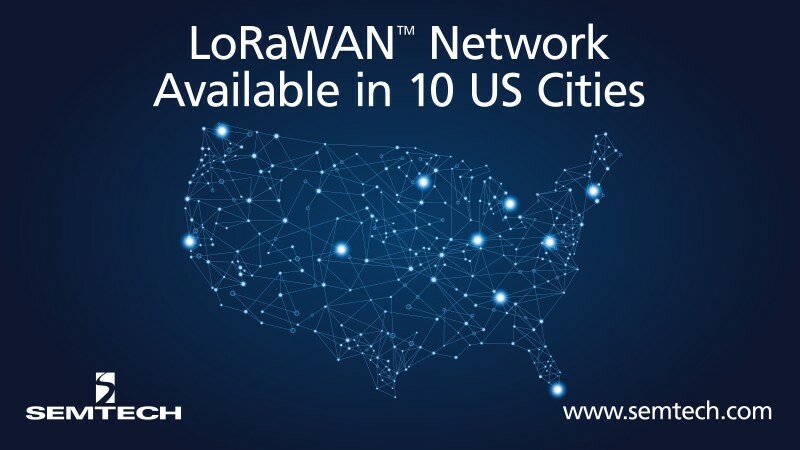 This is crucial for industries that demand superior high-speed performance such as automotive, networking, data centers, telecom and IoT/cloud-based products. 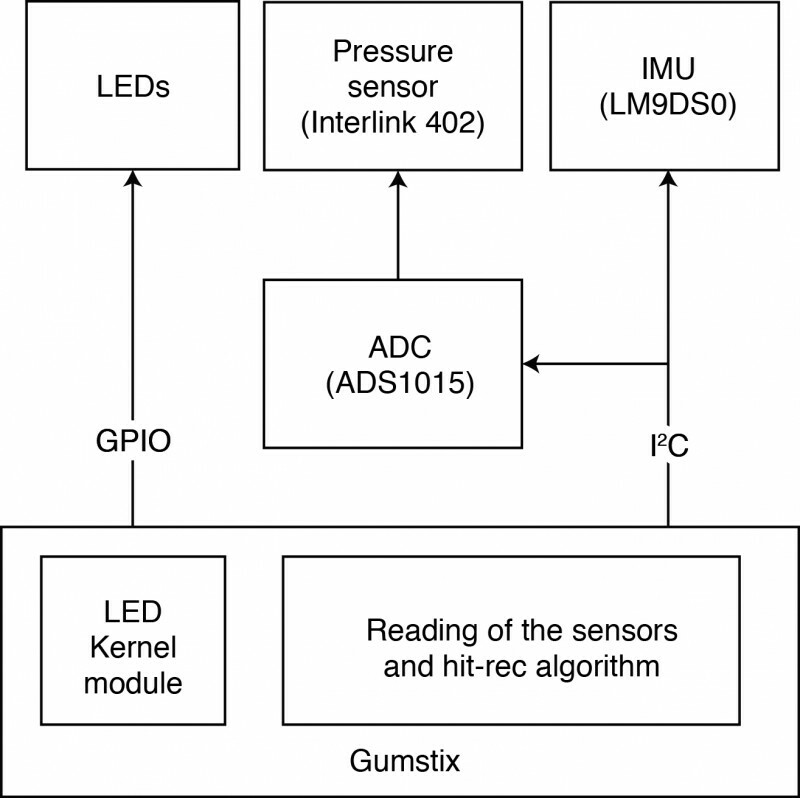 SerDes applies to interfaces like PCI Express (PCIe) that are used anywhere high-bandwidth is required. 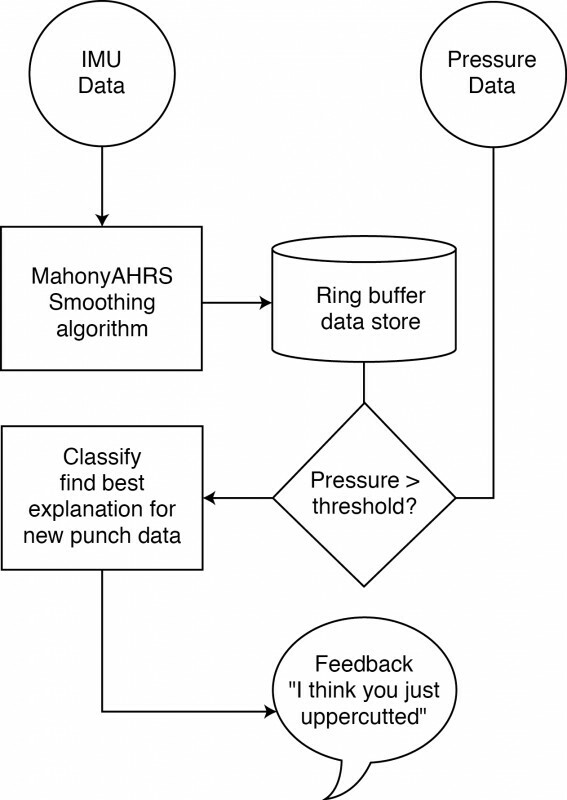 The problem is today’s hardware engineers lack time to fully understand the detailed signal integrity requirements of these interface protocols and may have limited access to signal integrity (SI) and 3D EM experts for counsel. Mentor’s new HyperLynx release provides tool-embedded protocol-specific channel compliance. The company claims it’s the industry’s first fully automatic validation tool for PCB SerDes interfaces. This includes a 3D explorer feature for design and layout optimization of non-uniform structures like breakouts and vias. Using the new HyperLynx release, hardware engineers can easily perform protocol-specific compliance checks. 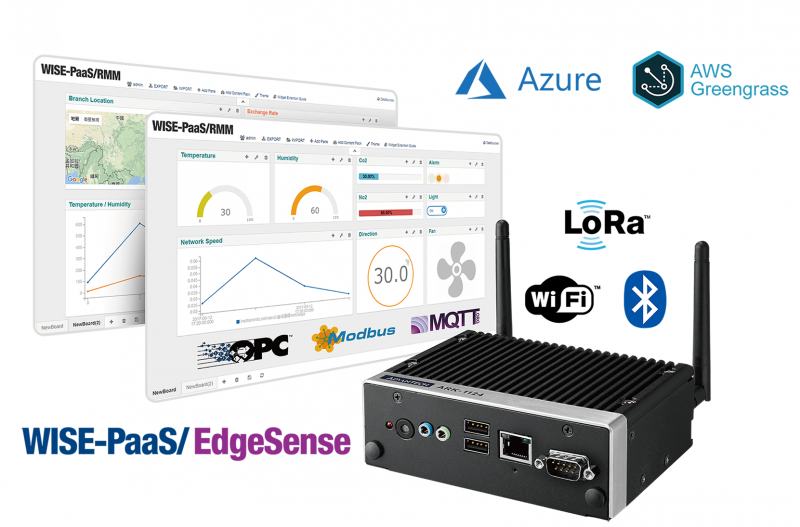 The tool provides embedded protocol expertise for PCIe Gen3/4, USB 3.1 and COM-based technology for Ethernet and Optical Implementers Forum (OIF). Engineers can easily perform equalization optimization (CTLE, FFE, DFE) based on protocol architecture and constraints. HyperLynx’s 3D Explorer feature provides channel structure design and pre-layout optimization. Template-based 3D structure synthesis can be used for differential pair, BGA breakouts, via configurations, series-blocking capacitors and more (Figure 1). Using HyperLynx, a 3D area is automatically created based on the available return path. This isn’t the first Mentor Graphics time came out with PCB design tools that address a new dimension of PCB design. In March 2017, the company released its Xpedition vibration and acceleration simulation product for PCB systems reliability and failure prediction. The Xpedition product augments mechanical analysis and physical testing by introducing virtual accelerated lifecycle testing much earlier in the design process. The tool lets you simulate during the design process to determine PCB reliability and reduce field failure rates. You can also detect components on the threshold of failure that would be missed during physical testing. Finally, you can analyze pin-level Von-Mises stress and deformation to determine failure probability and safety factors. 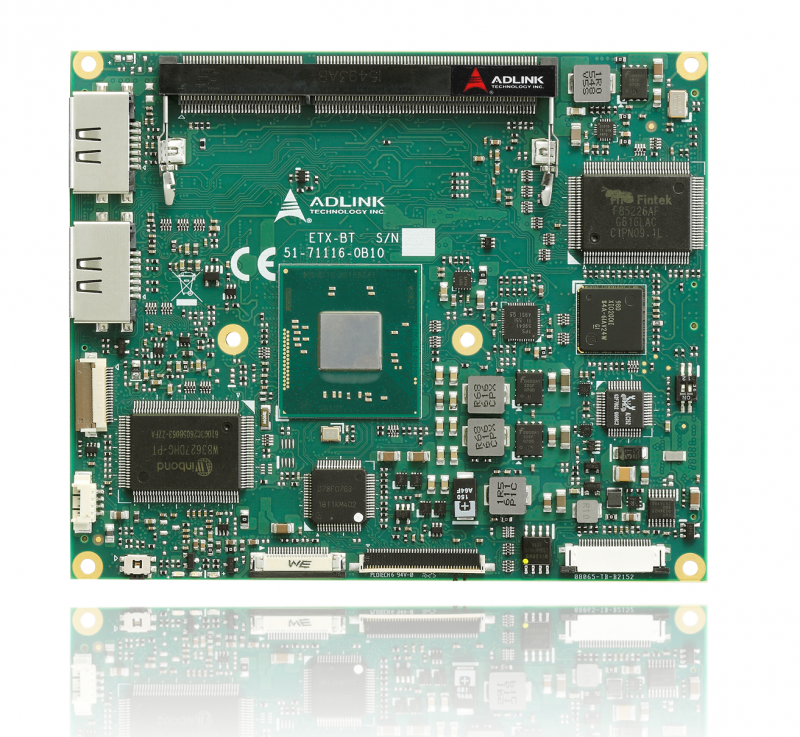 ADLINK Technology has continued its commitment and support to customers who have designs based on the ETX computer-on-module form factor. ETX is one of the earliest computer-on-module form factors. After more than two decades, its popularity is only second to COM Express when it comes to installed user base. 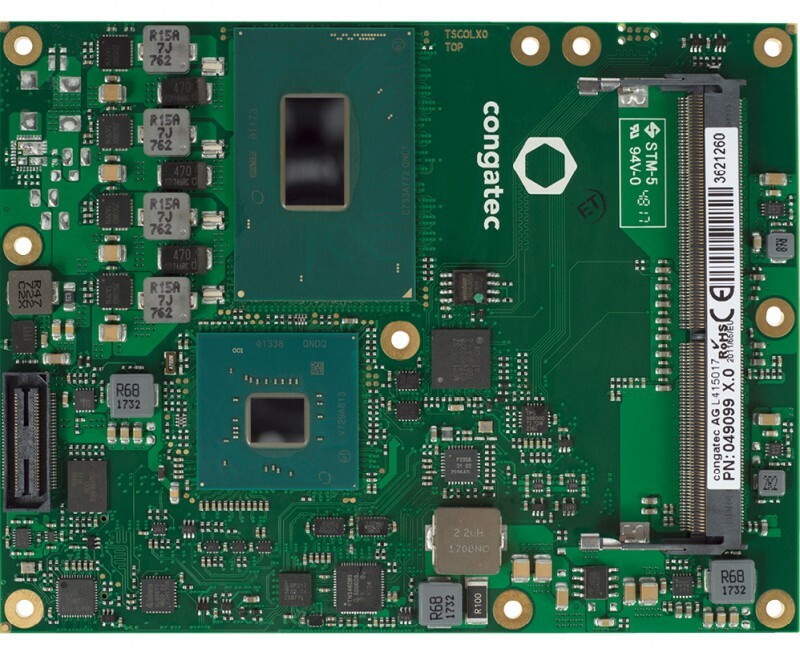 With the recent discontinuation of the hugely popular Intel Atom processor N270, many customers are searching for an ETX module replacement to keep their systems up and running. They are in need of an ETX drop-in solution at both hardware and software levels (Intel-to-Intel) with equivalent or improved performance and a better thermal envelope to simplify the transition. The problem is that customer’s current module suppliers may not have ETX on their roadmaps anymore. Since ETX is no longer a viable choice for completely new designs, many earlier manufacturers have moved on and dropped out of the ETX market. 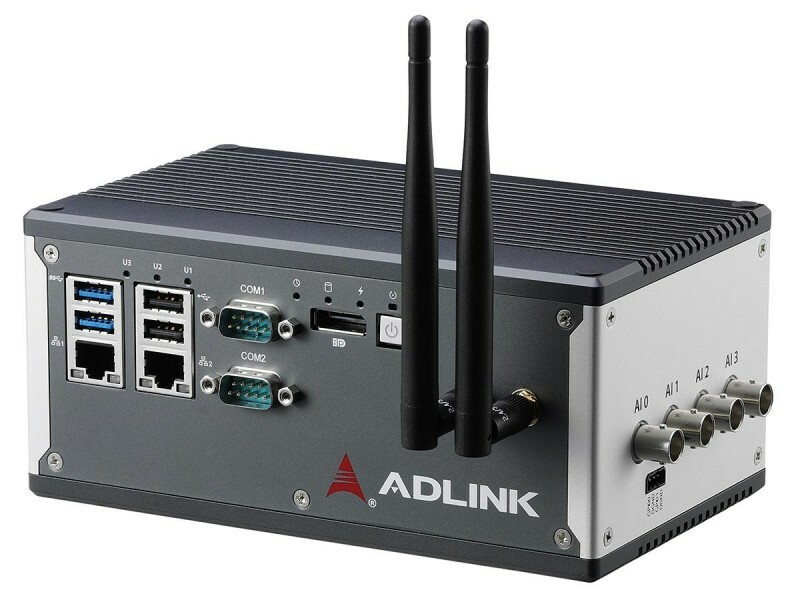 ADLINK’s solution is the ETX-BT, based on the Intel Atom processor E3800 series SoC (formerly Bay Trail). This Intel Atom product family is possibly the last processor that can fully support all ETX legacy interfaces: PATA IDE, ISA bus, PCI bus, serial/parallel ports, VGA and LVDS (Hsync/Vsync mode). The ETX-BT is available in both commercial (0°C to 60°C) and Extreme Rugged (-40°C to +85°C) versions and has a life cycle of 10 years, keeping in line with Intel’s warranted life cycle for the Intel Atom processor E3800 series of 15 years from release. ADLINK was a pioneer in the ETX form factor computer-on-module market, and continues to support its users in sustaining and extending the life of their existing ETX-based system. The Eclipse Foundation’s Eclipse IoT Working Group has released the results of its IoT Developer Survey 2018, which surveyed 502 Eclipse developers between January and March 2018. While the sample size is fairly low—LinuxGizmos’ own 2017 Hacker Board survey had 1,705 respondents—and although the IoT technologies covered here extend beyond embedded tech into the cloud, the results sync up pretty well with 2017 surveys of embedded developers from VDC Research and AspenCore (EETimes/Embedded). In short, Linux rules in Internet of Things development, but FreeRTOS is coming on fast. In addition, Amazon Web Services (AWS) is the leading cloud service for IoT. 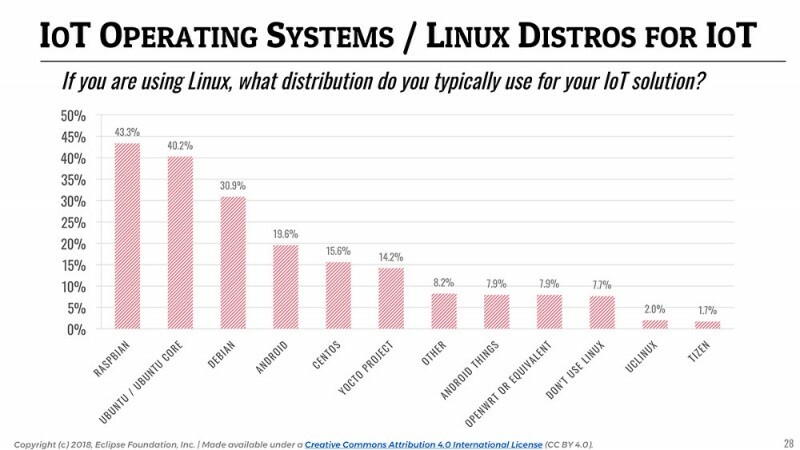 When asked what operating systems were used for IoT, a total of 71.8% of the Eclipse survey respondents listed Linux, including Android and Android Things (see farther below). The next highest total was for Windows at 23%, a slight decrease from last year. The open source, MCU-focused FreeRTOS advanced to 20%. Last December, the FreeRTOS project received major backing from Amazon. In fact, the Eclipse Foundation calls it an “acquisition.” This is never an entirely correct term when referring to a truly open source project such as FreeRTOS, but as with Samsung’s stewardship of Tizen, it appears to be essentially true. Amazon collaborated with FreeRTOS technical leaders in spinning a new Amazon FreeRTOS variant linked to AWS IoT and AWS Greengrass. The significance of Amazon’s stake in FreeRTOS was one of the reasons Microsoft launched its Linux-based Azure Sphere secure IoT SoC platform, according to a VDC Research analyst. The growth of FreeRTOS and Linux has apparently reduced the number of developers who code IoT devices without a formal OS or who use bare metal implementations. The “No OS/Bare Metal category” was second place in 2017, but has dropped sharply to share third place with FreeRTOS at 20%. Other mostly open source RTOSes that had seen increases in 2017, such as mBed, Contiki, TinyOS, and Riot OS, dropped in 2018, with Contiki seeing the biggest dive. All these platforms led the open source Zephyr, however, as well as proprietary RTOSes like Micrium PS. The Intel-backed Zephyr may have declined in part due to Intel killing its Zephyr-friendly Curie module. 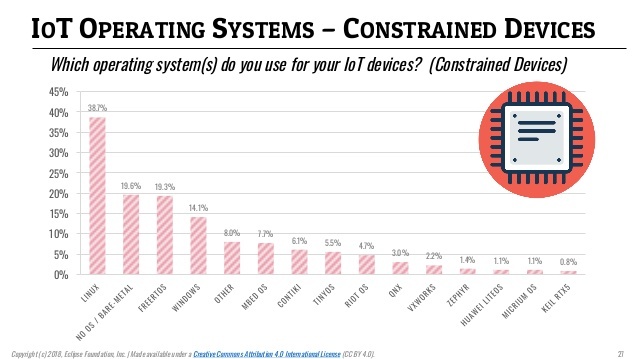 When the Eclipse Foundation asked what OS was used for constrained devices, Linux still led the way, but had only 38.7%, followed by No OS/Bare Metal at 19.6%, FreeRTOS at 19.3%, and Windows at 14.1%. The others remained in the same order, ranging from Mbed at 7.7% to Riot OS at 4.7% for the next four slots. 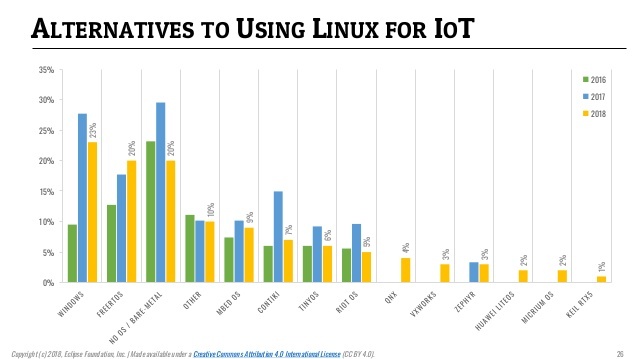 When developers were asked about OS usage for IoT gateways, Linux dominated at 64.1% followed by Windows at 14.9%. Not surprisingly, the RTOSes barely registered here, with FreeRTOS leading at 5% and the others running at 2.2% or lower. 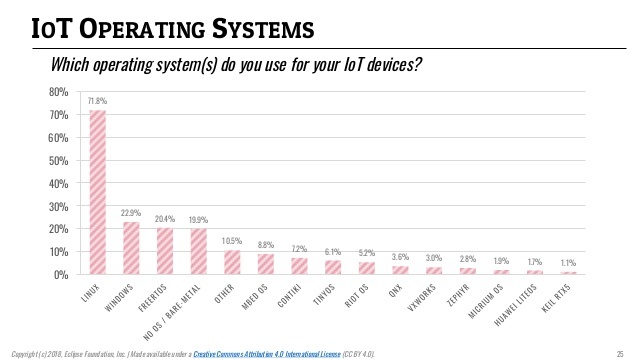 Raspbian was the most popular Linux distro at 43.3%, showing just how far the Raspberry Pi has come to dominate IoT. The Debian based Ubuntu and more IoT-oriented Ubuntu Core were close behind for a combined 40.2%, and homegrown Debian stacks were used by 30.9%. Android (19.6%) and the IoT-focused Android Things (7.9%) combined for 27.5%. Surprisingly, the open source Red Hat based distro CentOS came in next at 15.6%. Although CentOS does appear on embedded devices, its cloud server/cloud focus suggests that like Ubuntu, some of the Eclipse score came from developers working in IoT cloud stacks as well as embedded. Yocto Project, which is not a distribution, but rather a set of standardized tools and recipes for DIY Linux development, came next at 14.2%. The stripped-down, networking focused OpenWrt and its variants, including the forked LEDE OS, combined for 7.9%. The OpenWrt and LEDE OS projects reunited as OpenWrt in January of this year. A version 18, due later this year, will attempt to integrate those elements that have diverged. The remainder of the survey dealt primarily with IoT software. Amazon’s AWS, which is the cloud platform used by its AWS IoT data aggregation platform and the related, Linux-based AWS Greengrass gateway and edge platform, led IoT cloud platforms with 51.8%. This was a 21% increase over the 2017 survey. Microsoft Azure’s share increased by 17% to 31.2%, followed by a combined score for private and on-premises cloud providers of 19.4%. The total that used Google Cloud dropped by 8% to 18.8%. This was followed by Kubernetes, IBM Bluemix, and OpenStack On Premises. Other survey findings include the continuing popularity of Java and MQTT among Eclipse developers. Usage of open source software of all kinds is increasing — for example, 93% of respondents say they use open source data base software, led by MySQL. Security and data collection/analytics were the leading developer concerns for IoT while interoperability troubles seem to be decreasing. There were only a few questions about hardware, which is not surprising considering that Eclipse developers are primarily software developers. Cortex M3/M4 chips led among MCU platforms. 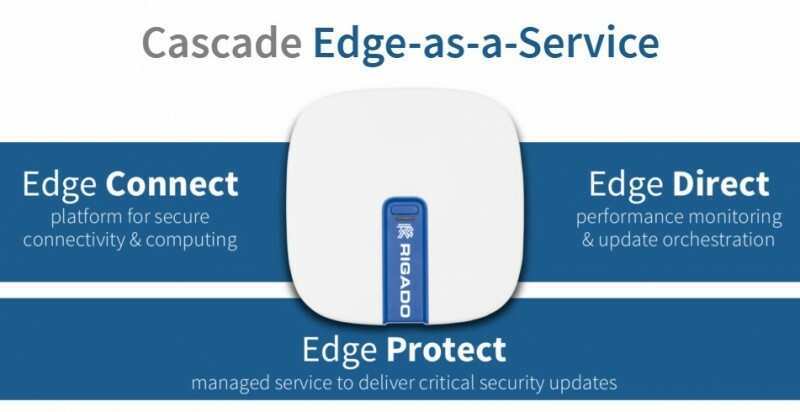 For gateways there was an inconclusive mix of Intel and various Arm Cortex-A platforms. Perhaps most telling: 24.9% did not know what platform their IoT software would run on. They did, however, know their favorite IDE. 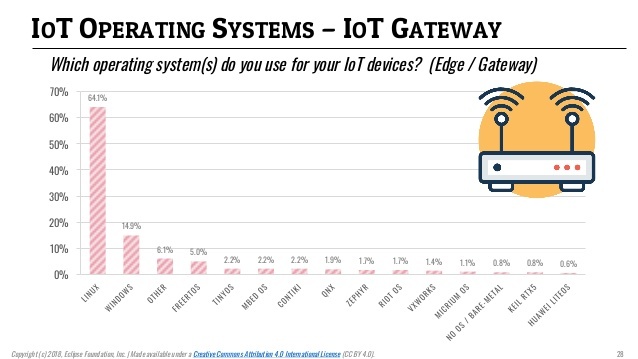 It starts with an E.
More information on the Eclipse IoT Developer Survey may be found in this blog announcement by Benjamin Cabé, which links to a slides from the full survey. This article originally appeared on LinuxGizmos.com on April 30. Robots may be as disruptive as the automobile, causing us to rethink how we live and work. In Mouser’s 5-part Empowering Innovation Together™ video series, Grant Imahara departs on another technical journey to explore the frontier of robotics, meeting with researchers, engineers and visionaries shaping the robotic future. 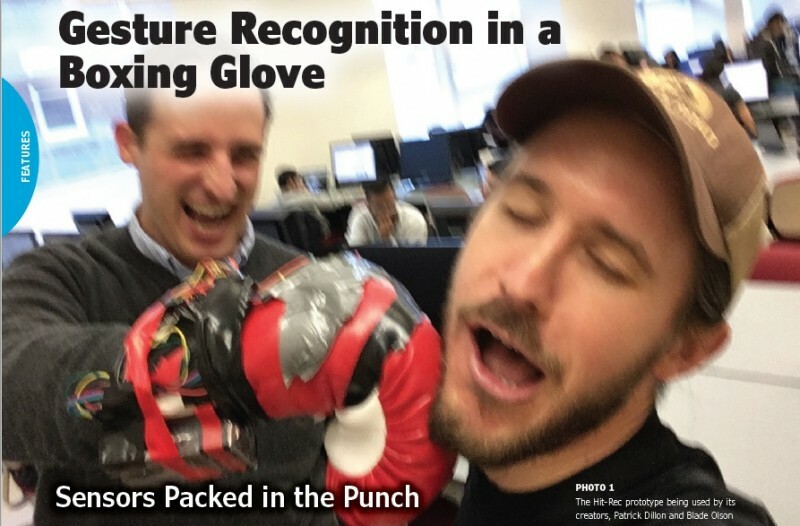 Coming to your inbox tomorrow: Circuit Cellar’s Sensors and Measurement newsletter. May has a 5th Tuesday, so we’re bringing you this bonus newsletter beyond our normal four rotating weekly subject areas. While sensors have always played a key role in embedded systems, the exploding IoT phenomenon has pushed sensor technology to the forefront. 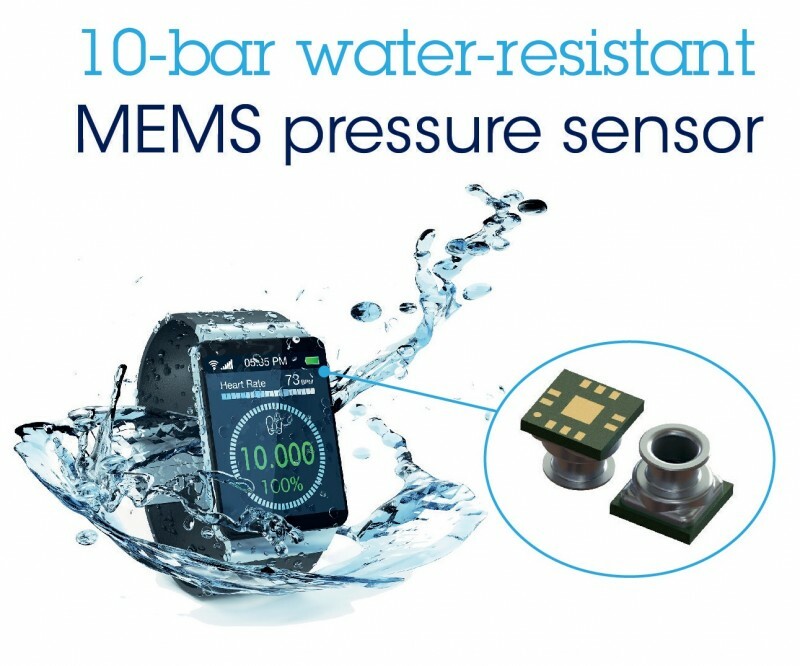 This newsletter looks at the latest technology trends and product developments in sensors and measurement. 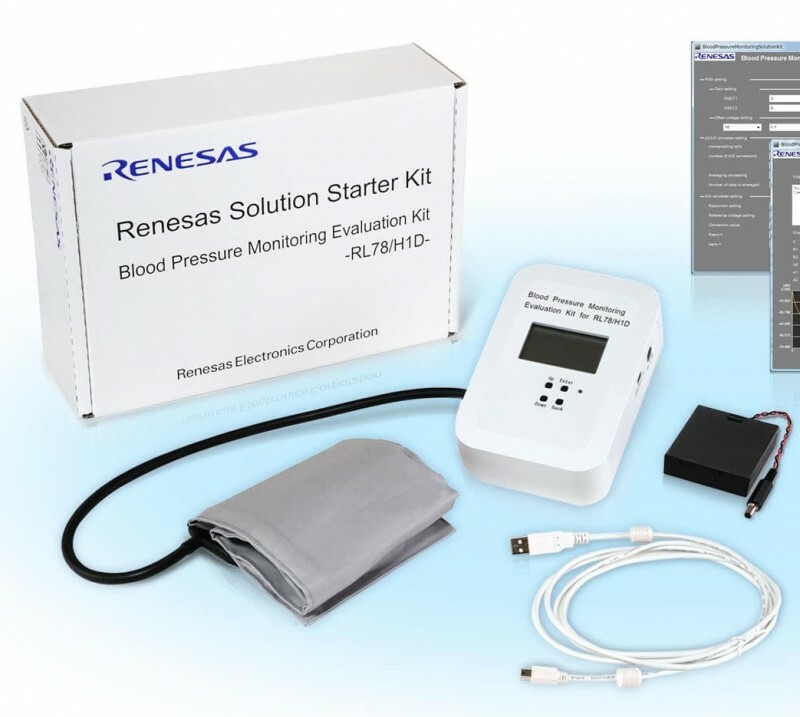 Sensors & Measurement newsletter issue tomorrow. Microchip Technology subsidiary Silicon Storage Technology (SST) and United Microelectronics Corporation (UMC) have announced the full qualification and availability of SST’s embedded SuperFlash non-volatile memory on UMC’s 40 nm CMOS platform. 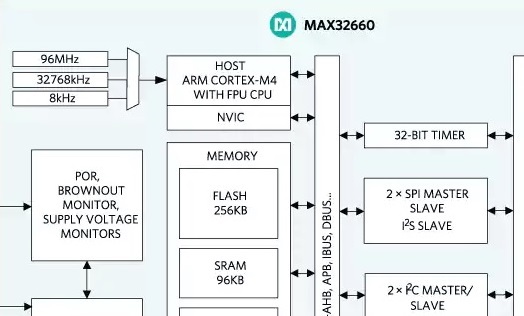 The 40-nm process features a more than 20 percent reduction in embedded Flash cell size and a 20- to 30-percent reduction in macro area over their 55-nm process. 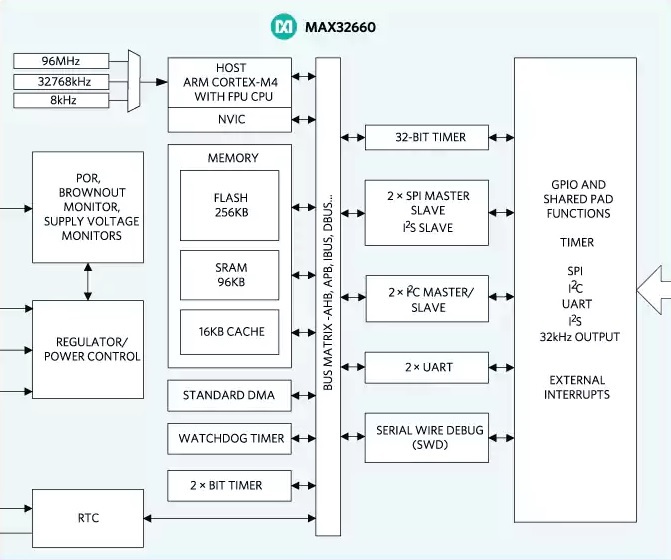 The high endurance of embedded SuperFlash IP offers System on a Chip (SoC) customers extensive reliability and design flexibility combined with reduced power usage. SST’s SuperFlash non-volatile memory technology is qualified for a minimum of 100,000 cycles, underscoring the technology’s reliability. 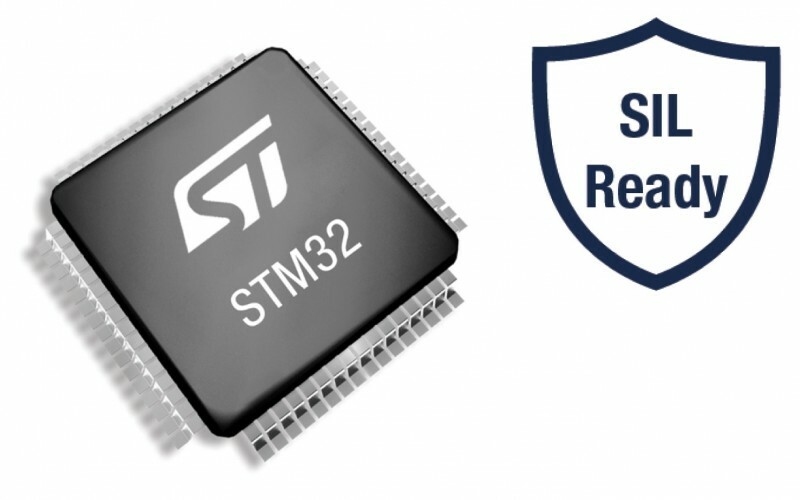 Ideal for edge computing in IoT devices, SST embedded SuperFlash technology features power benefits that derive from low-power standby and read operations, with core supply as low as 0.81 V. SuperFlash also secures applications with code maintained on chip, which is the first step in preventing illegal access through hardware and software attacks. SST’s SuperFlash technology complements UMC’s embedded memory portfolio with high density and low-power IP. Combined with SST’s inherent technology reliability, UMC’s flexible capacity and high-yield maturity for its 55 nm and 40 nm platform provides foundry customers the manufacturing support needed to build a range of product applications.